Dr. Safrit along with his wife, Lisa, and their two boys, Bryce and Brant, settled in Greer following dental school in 2005 in the Sugar Creek development. Dr. Safrit and Lisa grew up between Concord and Salisbury, NC, north of Charlotte, where they were high school sweethearts. They married in 1993 and lived in Raleigh for ten years, where both boys were born. Rob attended NC State for undergraduate and graduate degrees in Industrial Engineering. He then earned his Doctorate of Dental Medicine from MUSC Dental School. 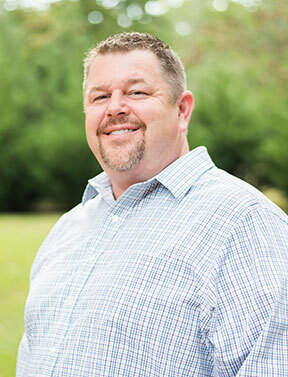 Rob enjoys giving back to help others through mission trips to the Dominican Republic and Guatemala as well as locally through participating in Dentistry from the Heart and the Greenville Free Medical Clinic. Dr. Safrit’s son, Bryce’s Eagle Scout project was the first Dentistry from the Heart event FDH sponsored.